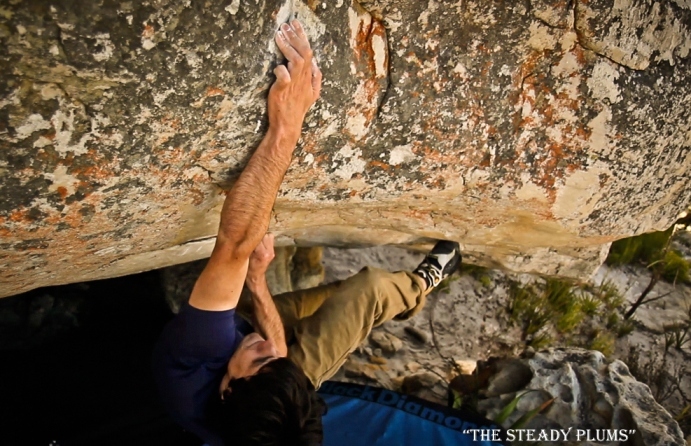 The list of new hard problems continues to grow as Paul Robinson's visit to Cape Town enters its final week. The long standing project at St James Park in Topside was his latest contribution after two days of efforts. The six move problem, "The Steady Plums" 8B, concentrates the majority of it's difficulty on moving to and from a really poor crimp to round a bulging lip to the slopers above.